The half-day sightseeing city tour in Yerevan allows you to get acquainted with capital’s must-see attractions and hidden gems alike. After picking you up at the hotel, the tour starts at the Victory Park and Mother Armenia monument with a magnificent view of the city. 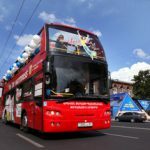 It continues with a ride through the central Abovyan Street to the next stop at the Republic Square and a walk through Northern Avenue. Next you will see the Yerevan city hall, Armenian Genocide memorial, the Baghramian Street with its administrative and historical buildings, such as the Parliament, National Academy of Sciences, etc, the Opera House, which is considered an architectural masterpiece by A. Tamanyan (the main architect of modern Yerevan). Last stop is at the Cascade complex – the favorite place of Yerevantis and capital’s guests alike. Surrounded with cafes and attractions, it is a modern art museum in open air and inside the giant staircase (450 meters and 572 steps). Lastly, you can attend one of the Yerevan’s many museums of your choice. Did you know? In 2018 Yerevan marks its 2800th birthday! It was founded in 782 B.C by Urartian king Argishti and was named Erebuni at a time. Even before that, the territory of Yerevan has been inhabited since approximately the 2nd half of the 4th millennium BC. The southern part of the city currently known as Shengavit has been populated since at least 3200 BC, during the period of Kura–Araxes culture of the early Bronze Age. 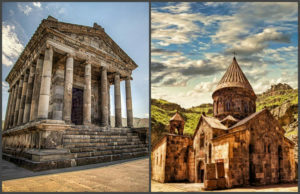 They say Armenia is a museum in the open air and this claim is supported by many historical-cultural monuments and attractions all over Armenia. 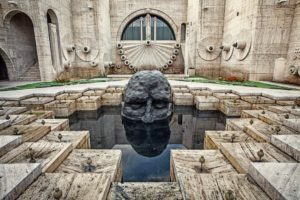 Despite that, Yerevan presets a wide variety of museums for its guests to explore as this tours includes several of most important ones among them. The tour starts at the Erebuni fortress Erebuni museum, where the capital was founded 2800 years ago. You can also find Yerevan’s ‘birth certificate’ there. Next, you go to the Republic Square where you visit the History Museum of Armenia and get to know everything Armenians are so proud of. Next, you visit the National Gallery and get actuated with Armenia through some of the best pieces of art the nation has produced. After you have a short drive to Tsitsernakabert where the Armenian Genocide Memorial and the museum are located. The tour ends with a visit to the colorful Sergey Parajanov museum who was a prominent artist, movie director and a genius. In 2018 Yerevan marks its 2800th birthday! It was founded in 782 B.C by Urartian king Argishti and was named Erebuni at a time. Even before that, the territory of Yerevan has been inhabited since approximately the 2nd half of the 4th millennium BC. The southern part of the city currently known as Shengavit has been populated since at least 3200 BC, during the period of Kura–Araxes culture of the early Bronze Age. The day starts with a visit to the 2000 years old Garni pagan temple not far from Yerevan. It was dedicated to the Sun god Mitra (Mihr) and was the summer residence of early medieval Armenian kings. Along the temple you will see the fortress, ruins of a church and palace, as well as the roman bath. Next a few kilometers away you visit the Monastery of Geghard, the UNESCO world heritage sight which is known for its peerless sculptures and cave church. Founded in the 3rd century its name translates as spear, dedicated to the Holy Lance, which used to be kept here. Then, the tour continues with a 1 hour drive to the largest lake in Caucasus, the ‘blue eyed’ Lake Sevan, where you will visit the medieval Sevanavank monastery located up the hill on the peninsula. You also have an opportunity to taste the local fish at the restaurant by the lake. Swimming in the lake in recommended only during the summer as it contains fresh cold water and is located 1900 meters above sea level. The Temple of Garni is the only standing Greco-Roman colonnaded building in Armenia and the former Soviet Union. To rebuild the city of Artaxata, destroyed by the Romans, the new emperor Nero gave Armenian king Tiridates 50 million drachmas and provided him with Roman craftsmen. Tiridates began a major project of reconstruction, which included rebuilding the fortified city of Garni. 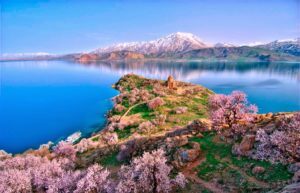 On this 9-hour tour you visit Lake Sevan, pearl of this mountainous country and one of the largest freshwater high-altitude lakes in Eurasia. Swimming in the lake in recommended only during the summer as it contains fresh cold water and is located 1900 meters above sea level You will also visit Sevanavank, a monastery complex on Sevan peninsula. Currently a religious seminary functions here, which is not readily open to the public, the peninsula can be named the very point from where the whole beauty of the Lake Sevan is seen. 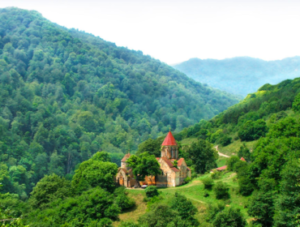 You will then see Dilijan, otherwise referred to as ‘Armenian Switzerland’ for its fantastic natural forests. The town is a part of Dilijan National Park, as well as a developing financial and educational center. The next stop is Haghartsin, a 10th century monastery which has been recently renovated by donation of Sheikh Dr. Sultan Bin Mohammad Al Qassimi, the Ruler of Sharjah, who was impressed by the monastery when visited it. Goshavank is the final stop surrounded by green territories. During the Soviet period Sevan was heavily exploited for irrigation and its water level decreased by around 20 m (66 ft) and its volume reduced by more than 40%. Two tunnels were later built to divert water from highland rivers, which halted its decline and its level began rising. The day starts with a visit to monastery Khor Virap, which is the place of pilgrimage and one of the most worshipped ones in Armenia and the holy site for the Armenian Apostolic Church . Khor Virap is located on a hillock in Pokr Vedi; the village is 4 kilometres from the main highway. The monastery was erected in the 6th – 17th centuries above the dungeon where St. Gregory the Illuminator, the Baptist of Armenia, had been kept for the disseminating of Christianity until king Trdat decided to adopt this religion. Next You will visit Village Areni and ‘’Areni’’ Wine Factory. Areni village is located about 120 km from Yerevan on the banks of the river Arpa. 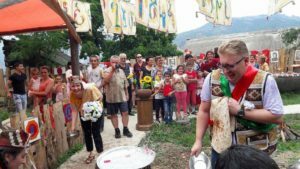 At the entrance to the village, right at the road on the left side a private small wine factory “Areni” is located, which you can visit to get acquainted with the production process, taste the local wines. The winery “Areni” was founded in 1994 in the village Areni, where the wine from the grapes of the same name is made through thousands of years. Then, the tour continues to Noravank Monastery. Built in the 13th century, the monastery is a lovely example of the ornate architecture of the period. The site is comprised of three surviving churches, each decorated in intricate designs and religious reliefs. The sculptor of the grandest portions of Noravank was a man by the name of Momik, who created the lovely stonework that survives today. He also carved a number of uniquely Armenian religious monuments known as “khachkars” which usually depicted an image of a cross surmounting a circular symbol. The centuries-old Armenian monastery known as Noravank is a hauntingly preserved religious complex sitting in a picturesque valley. However it may not be standing today if it were not for the eyes on a representation of God. 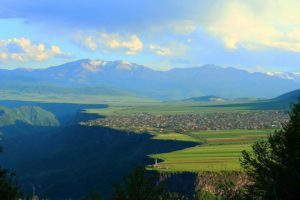 This trip to northern Armenia allows you to visit two of the UNESCO world heritage sights in Armenia and see the picturesque Lori region. After an hour drive from Yerevan you reach the village of Odzun where the 6th century monastery is located by the beautiful gorge of the river Debed. Next is the 10th century Sanahin monastery. Its name Sanahin literally translates from Armenian as “this one is older than that one”, presumably representing a claim to having an older monastery than the neighbouring Haghpat Monastery, another sight under UNESCO protection. As with Haghpat, Sanahin is frequented by an increasing number of tourists as the beauty of its monastic complex matching that of Haghpat’s. Both belong to the Armenian Apostolic Church with numerous khachkars (stones with elaborate engravings representing a cross) and bishop gravesites scattered throughout them. You also visit the Akhtala monastery and fortress and on the way back, you also visit Kobayr and have an opportunity to enjoy the pure nature and local ecological food. These two Byzantine monasteries in the Tumanian region, Haghpat and Sanahin, are from the period of prosperity during the Kiurikian dynasty (10th to 13th century) were important centers of learning. Sanahin was renowned for its school of illuminators and calligraphers. The two monastic complexes represent the highest flowering of Armenian religious architecture, whose unique style developed from a blending of elements of Byzantine ecclesiastical architecture and the traditional vernacular architecture of the Caucasian region. 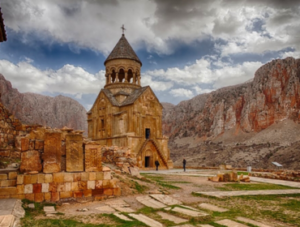 This trip to the highest mountain in Armenia-Aragats, will start with visiting Saghmosavank monastery just above the deep gorge of Qasagh River which provides additional beauty and charm to the monastery. Next stop is at the Armenian Alphabet monument, which is unique and was invented in 5th century. 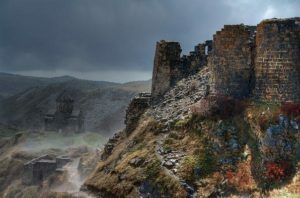 Afterwards we will visit Amberd fortress -“fortress in the clouds”, currently it’s a ruined fortress used to be one of the primary military-defensive points of the Armenian Kingdom. The entire territory around the castle is being covered with numerous flowers making the fortress castle appear full of life and spirits, especially in late spring and early summer.Then the road will lead us higher to Kari lake -Stone lake which is already 3400 m above sea level situated on the southern slop of mt. Aragats. 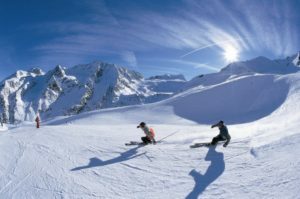 The lake is formed from ice, the water is cold all year around and most of the year it is surrounded by snow, which brings absolute happiness to everyone who wants to enjoy snow. ‘The site started as a Stone Age settlement. During the Bronze Age and Urartian periods, a fortress had been built that is now obsolete. Some sources say that Amberd used to be a summer residence for kings. The castle of Amberd and some sections of walls were constructed in the 7th century as a possession of the noble House of Kamsarakan. 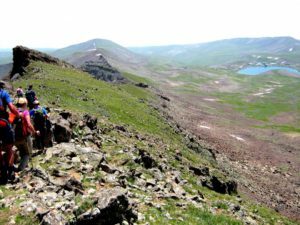 The fortressis located 2,300 meters (7,500 ft) above sea level, on the slopes of Mount Aragats at the confluence of the Arkashen and Amberd rivers in the province of Aragatsotn. The name translates to “fortress in the clouds” in Armenian. This trip covers some the most holy and significant places for Armenian people. The first stop is by the Sardarapat memorial that is dedicated to the existential struggle and in erected on the place where Armenian forces defeated Turkish forces and gained independence 100 years ago. Near the sight there is an impressive Bronze Age archeological sight and the ethnographic museum. Next you visit the ‘Armenian Vatican’, the Holy Seat of St. Echmiadzin, the oldest cathedral in the world and the center of Armenian Apostolic Church, along with sister churches of Gayane and Hripsime. The Echmiadzin treasury-museum offers an unparalleled collection of religious artifacts, including the Spear of Destiny (the Holy Lence), which according to the Gospel of John, is the lance that pierced the side of Jesus as he hung on the cross. Next you visit another UNECSO world heritage sight (along with Echmiadzin) the impressive ruins of Zvartnots. Lastly, you wil get to know the pride of Armenians the Armenian brandy, by visiting the Ararat factory, having a tour there and taste some of the finest types of it. 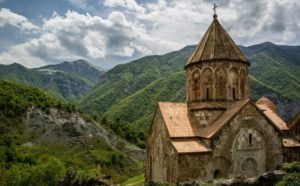 Armenia is considered the first country in the world to adopt Christianity as a state religion in 301 AD. Etchmiadzin Cathedral is the mother church of the Armenian Apostolic Church, located in the city of Vagharshapat (Etchmiadzin). 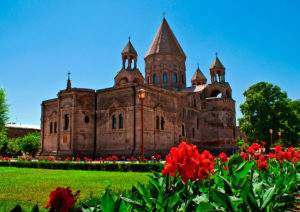 According to scholars it was the first cathedral built in ancient Armenia, and is considered the oldest cathedral in the world built between 301 and 303 AD. In Armenian language Echmiadzin means “the Descent of the Only-Begotten [Son of God]. The long full-day tour starts early in the morning with a drive through the Ararat Valley to the southern region of Syuniq. 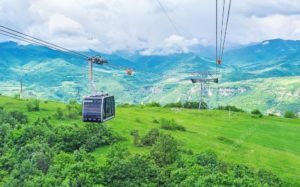 The first stop is in Halidzor by the ropeway station, where you take the longest and highest cable car in the world towards the picturesque Tatev medieval monastery by the gorge. Next, you visit the devil’s bridge, whick is a naturally accrued phenomenon where the water flows between rocks. Next stop is in Old Kndzoresk village, where you cross the popular hanging bridge towards the cave village, where Armenians used to live until 1950s and where population used to hide and defend itself from enemies. Then you visit the megalithic complex “Zorats-Karer” (another name is Karaunj). This is a prehistoric complex located in Armenia, not far from the city of Sisian. This famous megalithic structure consists of hundreds of vertically arranged two-meter stones or menhirs that are stretched from the south to the north. ​Armenians call this the “Armenian Stonehenge”. Last stop is in Areni village on the way back to Yerevan. It is famous for its grapes and wineries, as well as the archeological sight, where the olderst shoe in the world was excavated along with 6000 years old winery. 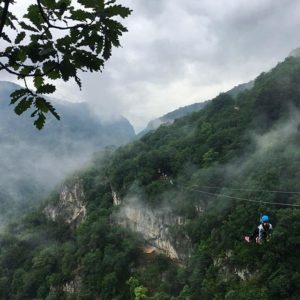 ‘Wings of Tatev’ is a 5.7 km cableway between Halidzor and the Tatev monastery. It is the longest reversible aerial tramway built in only one section, and holds the record for longest non-stop double track cable car. Construction was finished on 16 October 2010. Flying over the gorge, the aerial tramway cabin reaches its maximum height of 320 meters. Total ride time from Halidzor station to Tatev monastery is about 12 minutes; a much shorter trip than the 40 minute ride along the steep serpentine road that follows the Vorotan gorge. 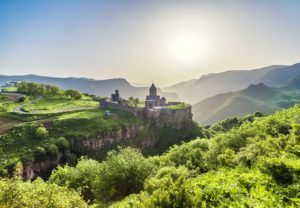 This trip to north-western Armenia allows you to visit the second largest city and the cultural center of Armenia, as well as several sights along the way. First visit will be in Arcch village where the 660AD–built Aruchavank is located. Next you visit Gyumri with its numerous places of interest. here are five churches, the ancient monastery of Marmarashen and even an Orthodox chapel in the city and its surroundings in addition to the picture gallery, the local history museum, as well as the historical and cultural reserve. One of the landmarks of Gyumri is the monument to the legendary Vardan Mamikonyan, the hero of Armenia and the defender of the Christian religion, who is ranked among the saints. The Alexandropol fortress is another historical monument built to protect Russian borders from attacks by Turkish or Persian troops. 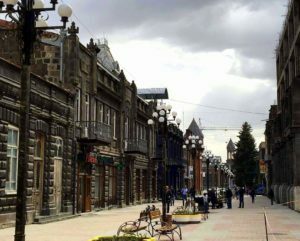 Gyumri is considered a center of art and culture. The city is also called the “capital of humor” as it was here that many legendary artists and humorists of Armenia were born. Lastly, you have a short stop near Hayrivank on the way back to Yerevan. The 1988 Armenian earthquake, also known as the Spitak earthquake (occurred on December 7 at 11:41 local time with a surface wave magnitude of 6.8.It destroyed large part of the city of Gyumri, left 25- 50 000 dead and over 130 000 injured. 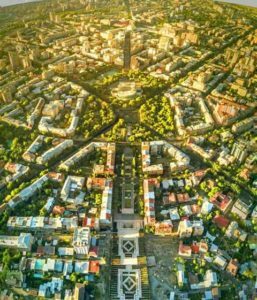 Before that, it had become a major industrial centre in the Armenian Soviet Socialist Republic and its second-largest city, after the capital Yerevan, however the traces of devastation are still apparent in the city of 121 000. 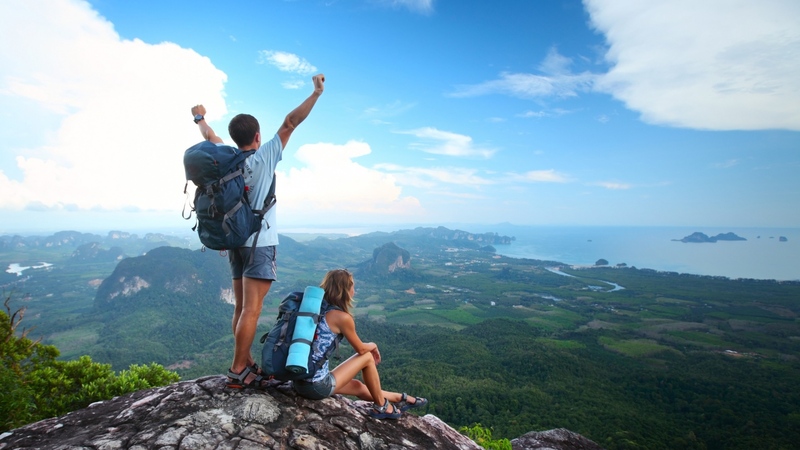 Your tour starts from Yerevan with a 5-hour drive to Tbilisi, during which you will pass the Armenia-Georgia state border. 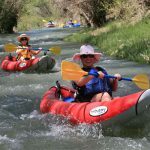 The program includes overnight in Tbilisi and a ride back to Yerevan with stops in Dilijan and near the Lake Sevan. During the Tbilisi city tour you will visit the following sights. Metekhi Church – It was first built in 5th century when Vakhtang Gorgasali was the king of Kartli. There are breathtaking views of Old Tbilisi from the church; Trinity Church – is the biggest cathedral not only in Georgia, but also in whole Caucasus region. 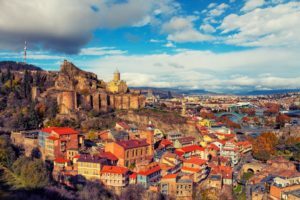 Old Tbilisi and Sulfur Baths – Foundation of Tbilisi is related to Tbilisi sulphure baths. According to the legend, King Vakhtang Gorgasali discovered these sulphure baths while hunting. So the name Tbilisi derives from Georgian word “Tbili”, meaning warm. Narikala is an ancient fortress overlooking Tbilisi. The fortress consists of two walled sections on a steep hill between the sulphur baths and the botanical gardens of Tbilisi. Drive by the cable way from the newly constructed Rike Park, that sits just across the Mtkvari river to the monument of Karlis Deda that overlooks the city. Tour to Mtskheta. One of the oldest cities of the country of Georgia Mtskheta lies at the confluence of the rivers Mtkvari and Aragvi. Mtskheta was the capital of the early Georgian Kingdom of Iberia during the 3rd century BC – 5th century AD. There are over 170 000 Armenians living in Georgia, mostly in the southern Samtskhe-Javakheti region close to Armenian border and in Tbilisi, which is 5.7% of total population. Armenians have largely contributed in developments of Georgian culture and statehood as the two nations have been living alongside each other for millennia, as the only two large Christian nations in the region. 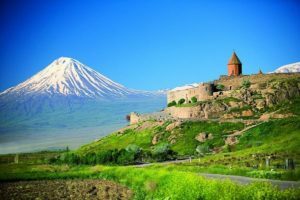 Your tour starts with a driven to the southern part of Armenia and the first stop on the road to Nagorno-Karabagh is foreseen in Ararat region. Khor Virap is the most famous pilgrimage site in Armenia, as it is directly connected with the adoption of Christianity in 301. From the monastery one can admire the stunning view of the Biblical Mount Ararat. We continue our tour to Tatev monastery, where you will reach by the longest ropeway in the World (5.7 km without stops). Besides being a religious center Tatev was also the important strategical center of Syunik kingdom. In 40 min. after crossing Nagorno-Karabagh border we reach to Stepanakert and start the city tour of the capital. You will visit museum, local market and also will see the famous sculptural work “We and our mountains”, known in the nation as “Grandma and Grandpa”. You will visit Shushi town, the former capital city of Artsakh to visit St. Ghazanchetsots church which is built of white limestone and decorated with sculptural works. Next stop in Shushi is Jdrduz cliff with an unforgettable view to Hunot canyon. After overnight in Stepanakert, you move to Tigranakert which is the fifth capital city of historical Armenia and which was founded by king Tigran the Great. Next stop is the fortress of Askeran is in the village of the same name, 4 km far from Stepanakert. Among the monuments of Artsakh Gandzasar (mountain of treasures) monastery has its significant and special place. It consists of a church, monk cells and other buildings of economic significance. Then we will continue our route to Dadivank monastery surrounded with dense forests. The last stop of the trip is Lake Sevan, the fascination and the pearl of mountainous Armenia, which is one of the world’s greatest high altitude fresh-water lakes. It is about 1900 m above sea level. Nagorno-Karabakh or the Republic of Artsakh is an unrecognized state in the South Caucasus that gained independence through existential fight with neighboring Azerbaijan after the collapse of the Soviet Union. This land contains unmatched nature and cultural heritage as it was the part of Greater Armenia kingdom since at least 1st century BC. The greatest Armenian King Tigran the II (95-55 BC) founded one of his four capitals here and named it Tigranakert. Garni - 1500 AMD,Zvartnots Cathedral - 1300 AMD, Tatev ropeway ticket - 5000 AMD both ways, Sardarapat - 1000 AMD, Tsaghkazor ropeway - 2000 AMD , Cognac factory - 4500,etc.